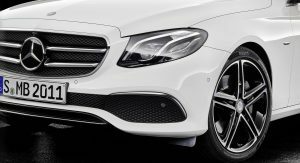 Can’t quite stretch to the full Mercedes-AMG E63? The E43 has, until now, been the next best thing. 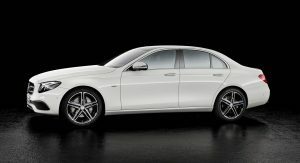 But Daimler is now replacing that model with the new E53 instead. 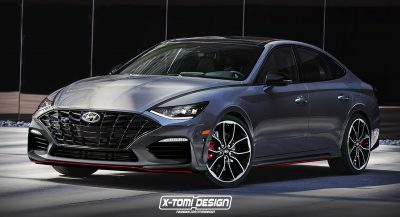 Following its debut in the CLS and E-Class coupe and convertible, the mild-hybrid performance powertrain now powers the sedan and wagon as well. 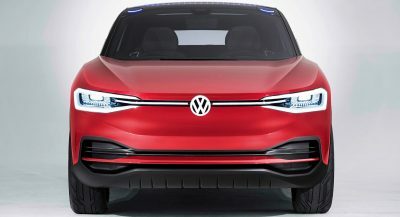 It’s a 3.0-liter twin-turbo inline-six with a 48-volt EQ Boost system. The internal-combustion engine produces 435 horsepower (320 kW) and 383 lb-ft (520 Nm) of torque. 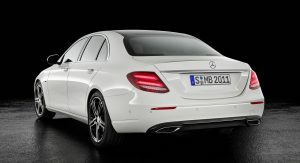 That’s more power (but a touch less torque) than the existing E43, which offers 396 hp and 384 lb-ft. 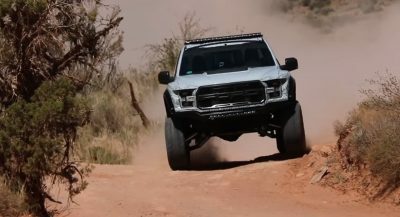 But the EQ Boost kicks in an extra 22 hp (16 kW) and 184 lb-ft (250 Nm) to bring the combined total output up to 457 hp (340 kW) and 567 lb-ft (769 Nm). 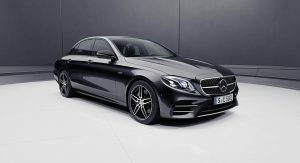 That’s still less than the 563 hp (420 kW) offered by the E63 with its 4.0-liter twin-turbo V8 – but the torque figure is actually a bit higher in the E53. 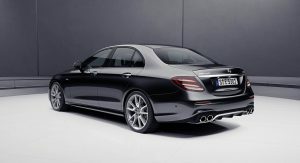 The E63 S still trumps it on both counts, though, with 604 hp (450 kW) and 630 lb–ft (850 Nm). 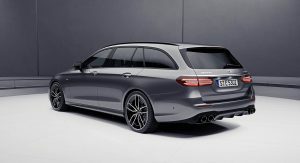 Channeled to all four wheels through a nine-speed automatic transmission and AMG-tuned 4Matic+ system, the E53 (in either sedan or wagon form) will rocket to 62 mph (100 km/h) in 4.5 seconds. That’s one tick better than the E43, but still a full second off the E63’s figure. 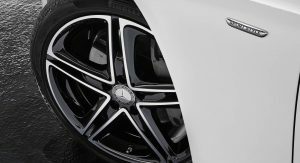 With all that torque, though, and less weight, we can’t help but wonder if Mercedes isn’t being coy with the performance figures. 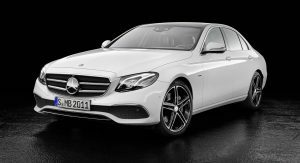 Along with the arrival of the E53, Mercedes has also rolled out new E200d, E220d, E300d, and E400d diesel models (with 150 hp/110 kW, 194 hp/143 kW, 245 hp/180 kW, and 340 hp/250 kW, respectively). 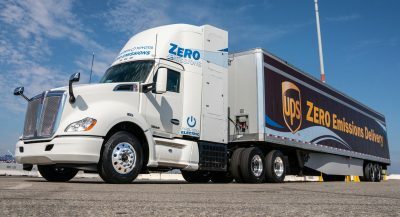 There are new driver assistance systems, steering wheels, telematics, and other trim upgrades, as well as a new SportStyle package (pictured below in white). We’ve yet to see US-specific details at this point. 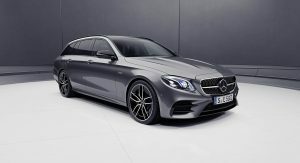 But in Germany, the Mercedes-AMG E53 4Matic+ sedan will retail for 79,248.05 euros, and the wagon for 82,038.60. Those prices include 19-percent VAT. They need better design, especially geeting rid of the soapform. so basically the e53 is a mini e63? The new E Class is very pricey when you throw in the necessary options. Looking at $60 for the 300 and the E43 is around $78K-85K!